Jack. 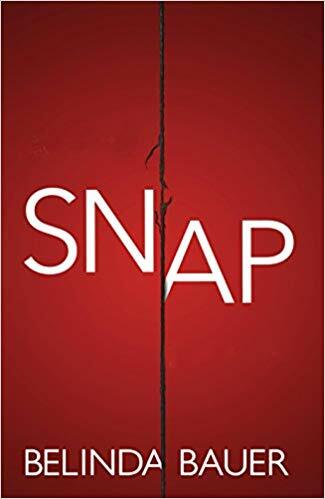 Belinda Bauer’s crime novel titled, Snap, grabbed me in the first few pages and kept me engaged to the end. The entire cast of characters is well-developed, but protagonist Jack is the best of all. After the murder of his mother, Jack’s father fails to cope with caring for three children, so young Jack takes charge and finances their needs through burglary. After scores of break-ins, local police call this the Goldilocks case because Jack often sleeps in the owner’s beds and eats their food. After DCI John Marvel is assigned to the area following a demotion, he’s not interested in a burglary case, but becomes energized when there’s a murder to solve. Bauer plots this novel with great skill and excels at developing great characters. Fans of crime fiction are those readers most likely to enjoy this novel. Rating: Four-star (I like it) Click here to purchase Snap from amazon.com.